Although the past week has been somewhat of an improvement, wet weather this spring is continuing to cause problems on most sheep farms according to Teagasc. It noted in a recent advisory update to sheep farmers that grass supplies are extremely tight and grass growth has been well behind normal. Fertiliser applications have been delayed, which will result in it being some time before grass covers recover on most sheep farms. What are the options when grass supply is tight? Teagasc says if grass height is below 4cm, or below the top of your wellington toe, ewes in the first 3-4 weeks of lactation will require supplementation. If not, supplemented milk yield will suffer. If grass is scarce (<3.5-4cm), as a guide, feed 0.75-1.0kg/head/day during the first three weeks to ewes in good condition that are rearing twins. If ewes are in poor condition, increase the daily allowance by about 0.25kg. In the case of ewes rearing singles, 0.4-0.5kg should be adequate in the majority of situations, with a 25-30% increase if ewes are in poor condition. Where grass or good quality forage is not available, these levels need to be increased by 50% for the first five weeks of lactation. Ewes will have reached their peak yield at five weeks post lambing for single rearing ewes and three weeks for ewes rearing twin lambs. 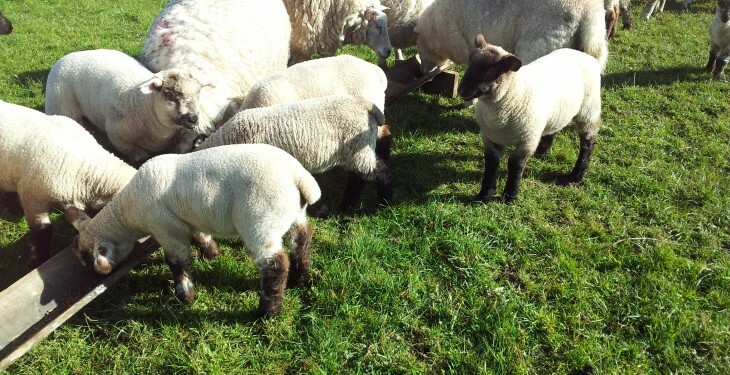 Where grass is in short supply and lambs are four – five weeks of age, creep should be offered. It is more beneficial to feed the lambs at this stage. Forward creep grazing lambs ahead of ewes has the biggest advantage when grass supply is tight. It gives lambs priority access to the scarce supply of high-quality grass. 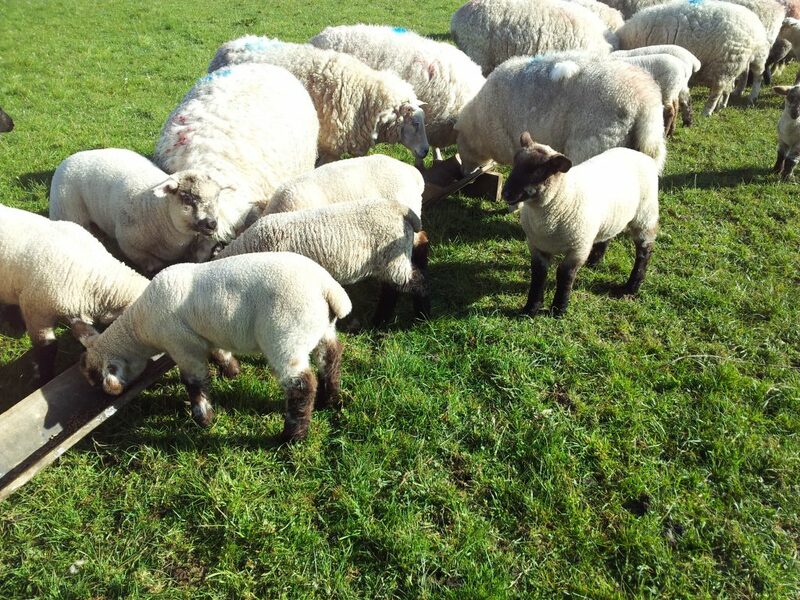 Allowing lambs to forward graze in front of ewes will improve lamb performance as it allows them priority access to the best grass before the ewes. The ewes can be maintained on tighter grass for a longer period. Their condition can be recovered later when grass supply becomes more plentiful. It has been shown to result in lambs being 2kg heavier at weaning. Replacing the existing gate with a creep gate that has 225mm (9in) spacing enables lambs to graze in front of ewes. Where grass supplies are tight and grass growth is poor, fertiliser should be applied. The rate of fertiliser being applied will depend on the stocking rate on each farm. Farms stocked at 10 ewes per ha (four ewes/acre) or more should have applied a minimum of 50 units of nitrogen by mid-April. Lower stocked farms should have applied 30 units of nitrogen per ha at this stage. The type of fertiliser being applied will depend on the level of phosphorus (P) and potassium (K) in the soil. If soil samples are taken and P and K is low, then it is advisable to address these in the spring as this is when there will be a response to phosphorus.